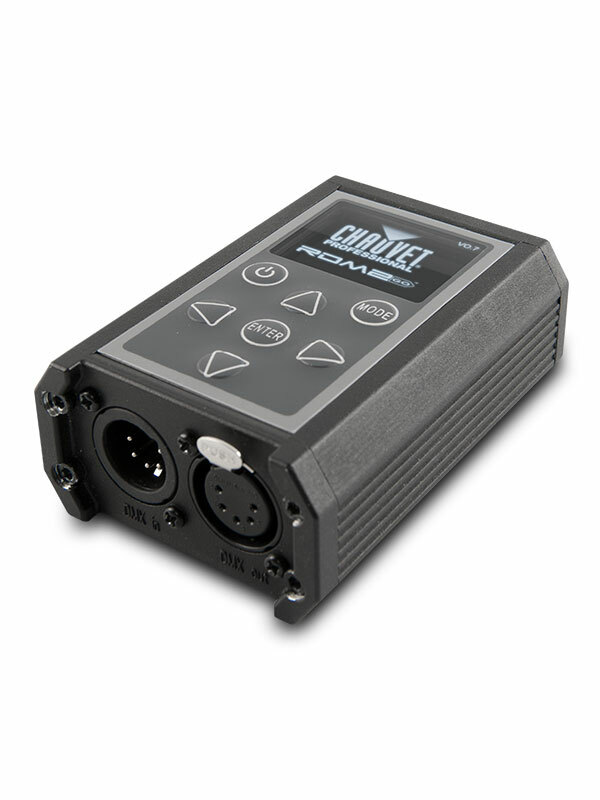 RDM2go is a multi-functional tool for working with fixtures over a DMX/RDM data line. 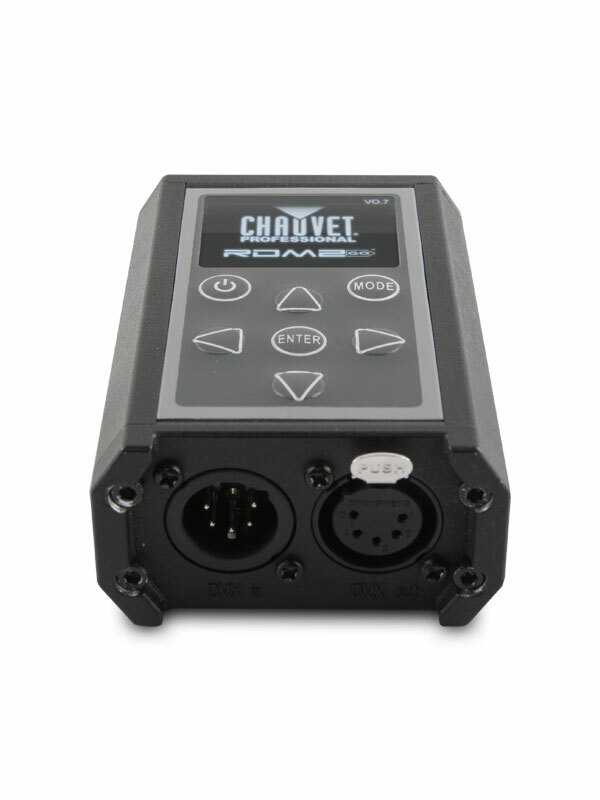 This palm-sized controller performs a multitude of tasks including RDM functionality, DMX snapshot and test-scene record and playback, DMX input and output monitoring. 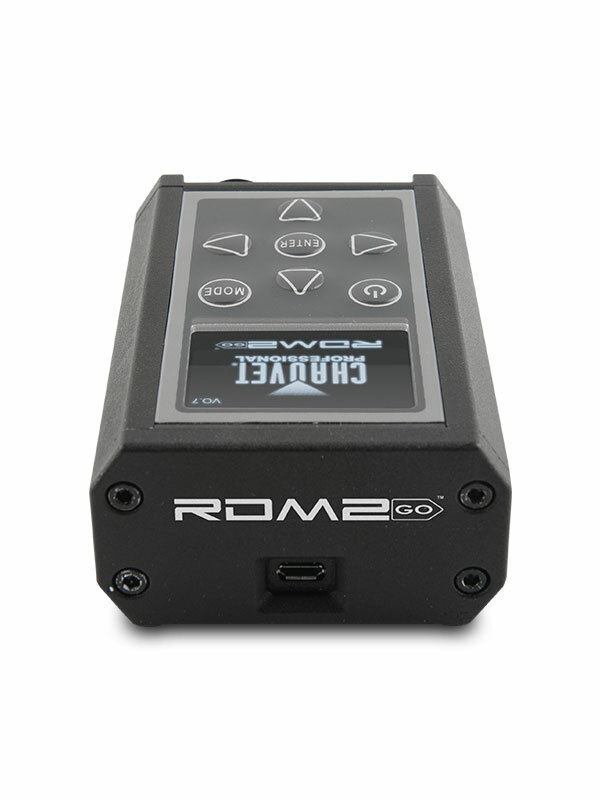 RDM2go features a built-in DMX cable integrity checker, and an easy to read OLED display. 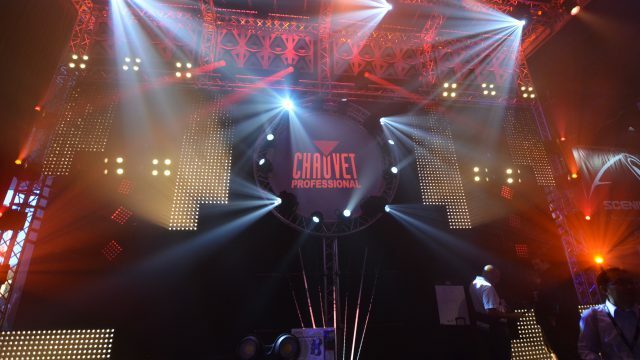 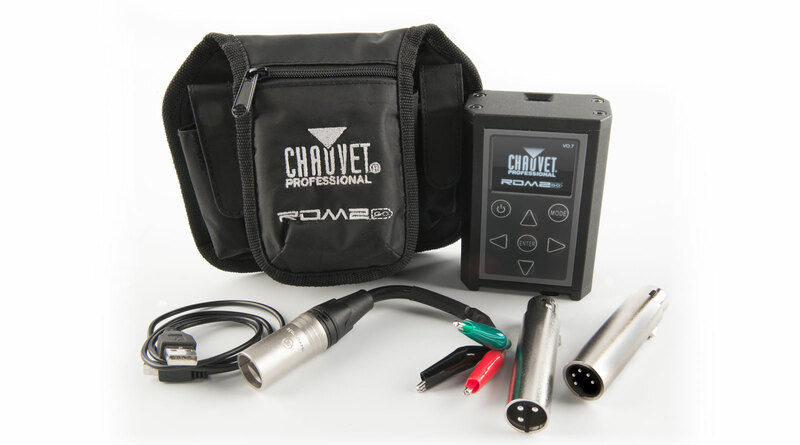 It also addresses Chauvet’s Iluminarc IP fixtures that do not have a display. 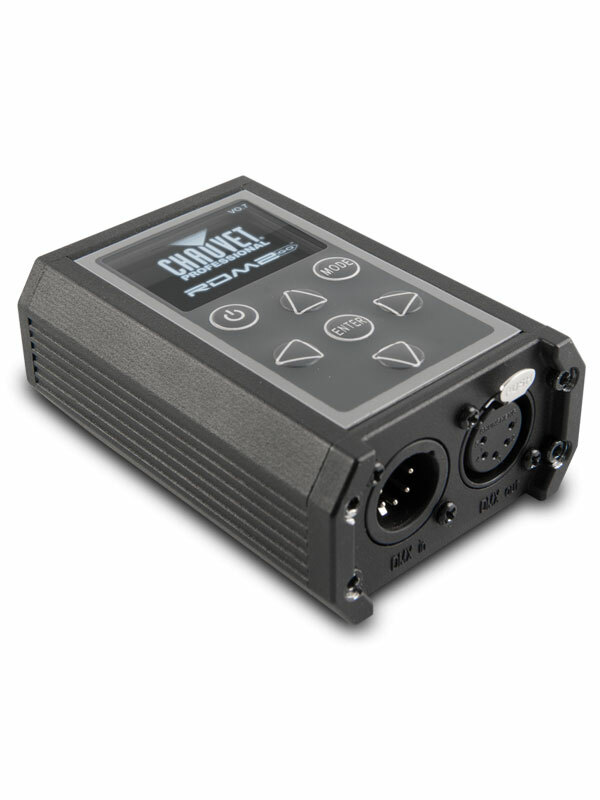 The unit easily recharges via a standard micro USB jack and comes with a convenient carry pouch and DMX connector converters.